Great news! You can still benefit from off-season pricing on our Cape May New Jersey cottage rentals clear through until the middle of June. We have rentals as small as 1-2 bedrooms or as spacious as 6-7 bedrooms. Our rentals come fully furnished with everything you need to complete your home away from home while enjoying an early season vacation to Cape May. 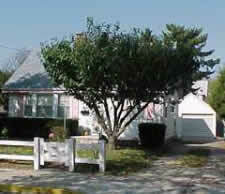 Sea Breeze Cottage is located at 103 Broadway in Cape May. This 2 bedroom, 1 bath cottage is big enough to sleep 7 people. Immaculately kept, Sea Breeze Cottage is bright and sunny, with a back deck overlooking the yard for your outdoor pleasure. All the comforts of home are wrapped up in this cute little beach house just a block from Broadway Beach. Perfectly situated for a walk to the end of Beach Ave. to enjoy the flag lowering ceremony at sunset on the Promenade in the summertime. Or walk up the ramp at the end of Mt. Vernon Ave. and catch the sunset from the beach. 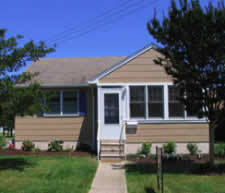 Another of our Cape May New Jersey cottage rentals is Rulon’s Cape May Diamond, located at 209 S. Lafayette Street. This single floor, two bedroom, one bath home sleeps 5 people. Step out your door to the pedestrian mall, Congress Hall, or the beach. Great for off-season festivities such as the Jazz and Film Festivals and Victorian Week.